This was the final play of the year at Thomas S. Wootton High School. 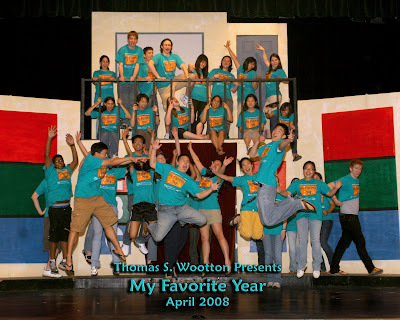 The production was "My Favorite Year". I took photos of the cast, crew and orchestra. This one is a fun shot of the orchestra. I alway love going and watching the sound check before the photos. Plus, they all seem to have such a fun time. See you all next year.